We are committed to satisfy your air cargo transportation needs through a wide range of products, from general cargo to those products requiring special care due to their life cycle, nature, handling or priority. Among these products are: live animals, hazardous cargo, human remains, perishable goods and others. We offer this service for shipments transported from airport to airport, using efficient routing based out of our hubs: San Salvador (El Salvador), Lima (Peru) and Bogotá (Colombia) and through our important operation centers: Miami (EEUU), Medellin (Colombia), Quito (Ecuador) y Mexico D.F. (Mexico). Some industries require the transportation of pieces that exceed the standard, either by their size or their weight. A piece is considered oversized when its dimensions exceed a cargo aircraft main deck position and therefore occupies part of another position. A B767-300 main deck positions dimensions are 88"x 125" or 224 cm x 318 cm and on a A330-200F main deck position dimensions are 96 "x 125" or 244 cm x 318 cm. A piece is considered overweight when due to its weight, it must be handled in 16 ft or 20 ft pallet. Because we understand the special needs of these kinds of shipments, Avianca Cargo has designed a product with special features to guarantee the integrity and security of your cargo. 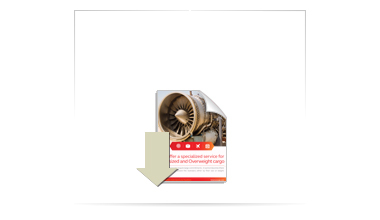 For more information regarding the conditions and restrictions of this service, contact your local cargo adviser. Air transportation of live animals is subject to the IATA Live Animal Regulations Manual (LAR). 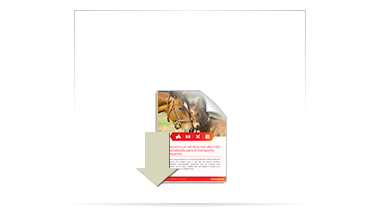 regulations, which specify documentation, travel containers, and special labels required to ensure safe carriage of animals. Dangerous goods or restricted articles are described as products or substances that are capable of posing a significant risk to health, safety or property when transported by air. These articles require special handling and procedures established by IATA's Dangerous Goods Regulations for air transportation. We have specialized personnel to handle in a safe, secure, responsible and diligent manner all Dangerous Goods’ shipments. Note: For more information about the acceptance of any dangerous item contact our local office or write us via email before submitting the shippment for transportation. Pharmaceutical Products are important to improve the people’s quality of life; as a carrier we understand the importance of handling and transporting these products properly, ensuring that they reach their final destination in the best conditions. Considering the needs and requirements of our customers, Avianca Cargo has developed a specialized portfolio for transporting pharmaceuticals. Specially designed to transport pharmaceuticals that require passive packaging to maintain their temperature. It has specific procedures in line with IATA´s Temperature Control Regulations, to limit the cargo´s exposure to extreme temperatures. Every shipment´s requirements are different depending on the characteristics of the pharmaceutical, it is very important that before booking PharmaCare you agree on a SOP with your Sales Executive. Our executives will provide you with the necessary information and support in building any contingency plans required. Ideal for time and temperature sensitive pharmaceuticals, that require to be transported in active containers. PharmaCoolCare has specific procedures in line with IATA´s Temperature Control Regulations, and the recommendations of the main active container´s providers. 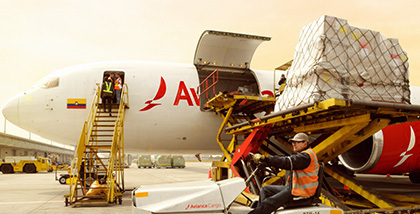 To ensure the proper handling of the shipments, Avianca Cargo has an internal certification process for each station. Our Sales Executive will give you the information of the certified stations in North America, Central America, Caribbean, South America and Europe. This product is designed to transport pharmaceuticals that do not require temperature control but need to reach their final destination in the shortest time possible. Standard Operational Procedure (SOP) if required. In case the volumes vary from the kg booked, notify your sales executive immediately. We are committed to providing attentiveness and respect when transporting human remains. We understand the importance of the situation, and we treat each shipment with utmost care to ensure an optimal arrival at the final destination. Human Remains and ashes are considered special shipments, with top boarding priority and confirmed space from origin to destination. Copy of the passport of the deceased and of the family member or legal representative requesting the transportation. 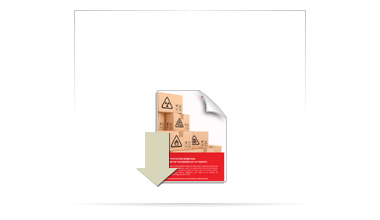 The shipper must verify that the type of packaging is appropriate for air transportation. The type of packaging will vary depending on whether or not the human remains are cremated. Note: Human Remains reservations must be previously coordinated for space confirmation. For more information on the conditions and restrictions of Human Remains transportation, contact our local cargo advisor or write us via email. This service provides transportation for items that require fast delivery due to its nature of the goods. These are articles that decompose quickly or which require priority in transportation and special handling. Note: For more information about the packaging recommendations, conditions and restrictions of the transportation of Perishable Cargo, contact our local cargo advisor or write us via email. With our Must-Go service, we guarantee the high priority and safe transportation of goods that due to it´s nature require expedite handling and special security measures. Note: For more information about the conditions and restrictions of the transportation of Valuables, contact your local cargo advisor or write us via email. Using active containers (electric and dry ice), we provide a specialized service for shipments that require strict temperature control and monitoring. Pharmaceutical Industry: Because we understand how delicate transporting life-saving medications can be, we have designed specific procedures that are in line with chapter 17 of the IATA Perishables Manual and the Good Distribution Procedures (GDP) established by the World Health Organization which allows the safe transportation of healthcare products. We monitor the required temperature during the entire transportation process to avoid any variation in the shipment that might compromise the efficiency of the pharmaceuticals. Some of these pharmaceutical products can be: vaccines, insulin, biologics and/or any other medications sensitive to changes in temperature. Other Industries: With CoolCare, we can also provide the carriage of other perishable commodities, such as high-priced meats and seafood, or technology equipment such as semiconductors that must be transported in active temperature-controlled containers. 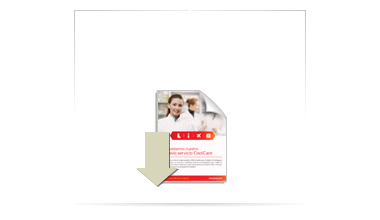 Note: For more information about the conditions and restrictions of the transportation of Cool Care, contact our local cargo advisor or write us via email. We offer a service that is reliable and fast so you can send personal effects to your family and friends, from the United States and Canada to Central and South America. We invite you to learn about our new service so that you can easily send your bags, boxes, and packages. Note: For more information about the conditions and restrictions of the transportation of Personal Effects, contact your local cargo advisor in the United States and Canada or write us via email. Sometimes small packages are the most urgent shipments, and their prompt arrival is imperative. For these kind of shipments we have designed Rapidito, a fast Airport to Airport service available in most of our network. Note: For more information about the conditions and restrictions of the transportation of Rapidito’s, contact your local cargo advisor or write us via email. As we understand the special needs of the courier companies, we offer a reliable service that ensures on time arrival of their shipments. These are accepted subject to the Courier Service regulations and rates of each country. This product is designed to be carried in passenger flights although it can also fly in freighter flights. Note: For more information about the conditions and restrictions of the transportation of Courier’s, contact your local cargo advisor or write us via email.